*All active NYPD UMOS police officers and supervisors are encouraged to apply for the NYPD Leadership scholarship program. 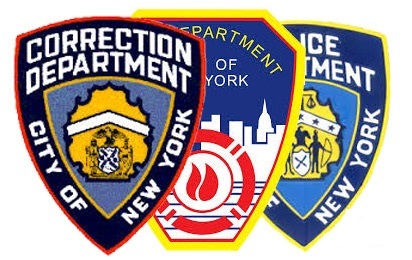 The In-service Program is available for all active and retired DOC UMOS officers and FDNY firefighters, and retired NYPD UMOS police officers interested in earning a bachelor’s degree. NOTE: All civilian members and other public service agency personnel (i.e. FDNY Paramedic, FDNY EMT, are encouraged to submit the application for general admission, by visiting www.cuny.edu/prepare. NOTE: Additional credits may be awarded for post recruit training. Click here to learn more about the major programs offered. John Jay College provides affordable tuition rates. In-service students may also eligible for a $100 tuition deduction per semester. The application deadline for new undergraduate students is Saturday, May 4, 2019. Returning students should submit the online readmission application for the Fall 2019 semester.